PIQUA — A Piqua man is in custody, charged with assaulting his two-week-old son over the Thanksgiving holiday weekend. 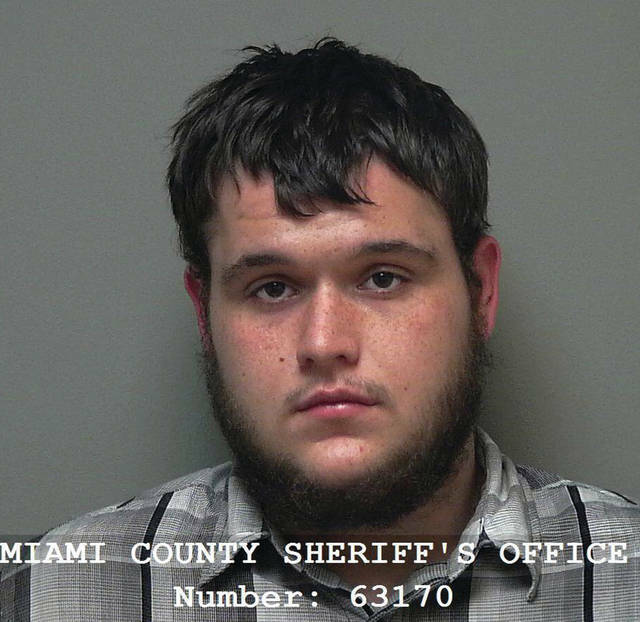 Deputy Piqua Police Chief Marty Grove said Brent Hennon II, 19, currently faces a charge of felonious assault in connection to the injuries he allegedly inflicted on his infant son. Piqua Fire Department medics were called to 205 1/2 Fourth St. in Shawnee at approximately 3:30 p.m. on Friday on the report of an infant possibly not breathing. Paramedics were able to revive the baby and police were contacted due to the nature of the incident. Grove said the infant sustained, “numerous injuries, including some of which are life-threatening.” The infant remains hospitalized. His current condition in not available. Grove said Hennon did reside at the residence where the alleged assault occurred. Piqua police are continuing their investigation into the case and additional charges could be filed. Hennon, who was arrested on Monday, is incarcerated in the Miami County Jail on a $50,000 cash or surety bond. His next court appearance is a preliminary hearing scheduled for December 5.